More actionable. Users can quickly email file collaborators. More useful. 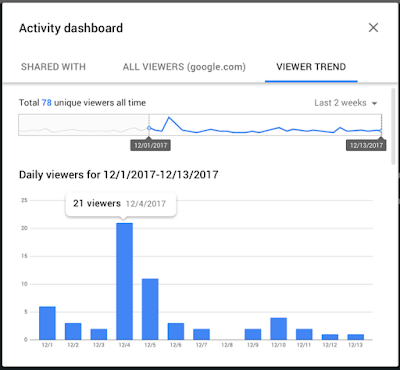 Users can see viewing patterns over time. Select who to email. There are shortcuts for collaborators who have viewed the file or have not viewed the file, or you can pick recipients manually with checkboxes (see image below for example). Customize an email. Users can write a message to chosen recipients. See our Help Center for detailed instructions on how to send emails through Activity dashboard. A popular request from our users is to have more insight into patterns around viewing data on files. 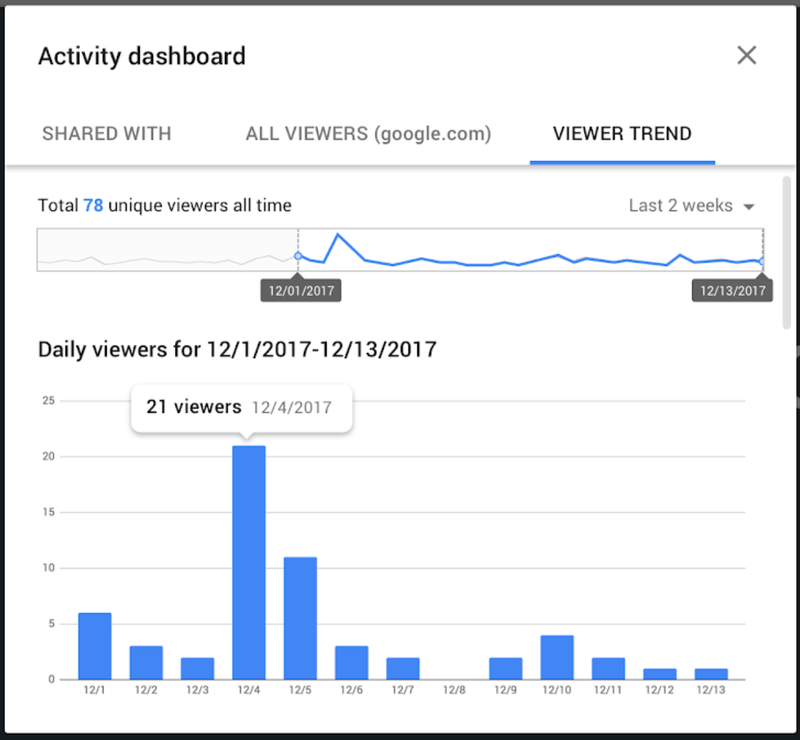 So we’re adding a chart showing how many viewers have visited the file over time. You can adjust the date range, and hover over specific data points for more details. Use our Help Center to find out more about how to understand the data in Activity dashboard.